The most famous music festival off all time is celebrating its 50th anniversary this summer. Woodstock 50 will take place again in New York state, but not at Max Yasgur’s dairy farm, the original show’s site a half century ago. Woodstock 50 will be at the Watkins Glen International Speedway, August 16-18. The original site in Bethel, NY, is now a 15,000 seat outdoor venue, too small for this summer’s big deal. Woodstock producer and co-founder Michael Lang announced this week that the famous race track met all his requirements: thousands of acres of green space, infrastructure to support the crowd and a musical history. Watkins Glen was once in the Guinness Book of World Records for largest audience at a pop festival, when it drew an estimated 600,000 to see The Allman Brothers Band, The Band and The Grateful Dead on July 28, 1973. This will be the fourth official Woodstock music festival. 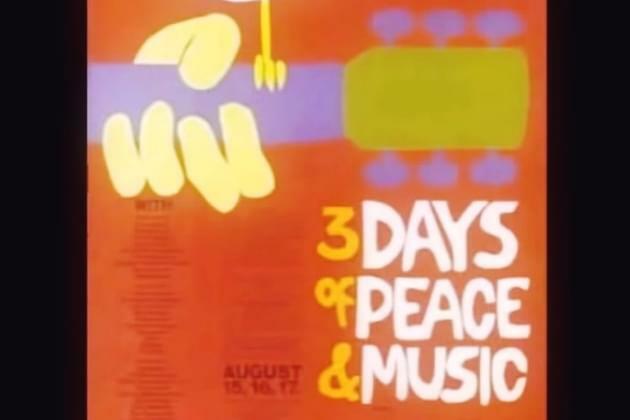 After the original 3 days of peace and music in 1969, the 25th anniversary show happened in 1994, then the 30th anniversary in 1999, which kind of sucked most agree. Lang says he’ll line up over 60 acts for Woodstock 50, with bands to be announced when tickets go on sale next month. They expect to sell 100,000 three-day passes. Many of the 1969 performers are dead and gone now, but Carlos Santana is down with the idea. The Who’s Roger Daltrey said this week that it’s too damn hot in the U.S. in August, no thanks. There are some others still around and some are still performing, like Joan Baez. We keep you posted on who commits to the half-century anniversary of the most iconic music festival of our time. Anyone up for a summer road trip to New York?